Rainwater becomes stormwater when it falls on a hard surface that drains to the storm sewer. 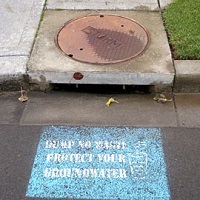 As stormwater flows off roofs, streets, and parking lots it picks up pollutants such as sediment, pet waste, motor oil, fertilizers, yard debris and litter, which are carried to nearby streams. Stormwater facilities and LID (low impact development) play an important role in removing pollution and controlling the flow of stormwater runoff. Local governments AND private property owners are responsible for managing stormwater runoff. If you have stormwater facilities or LID in your development you need to find out how to inspect and maintain them. Staying on top of maintenance saves time and money while protecting the health of our streams. Some facilities are simple and small, such as a biofiltration swale with mowed grass. Others are complex, such as a system of ponds and underground structures (multiple facility systems). 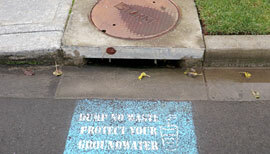 All are designed to capture stormwater and treat it – usually by collecting it and filtering contaminants. 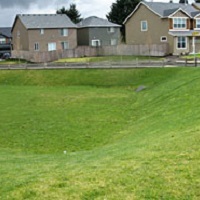 Stormwater systems typically consist of catch basins and pipes and/or open channels (ditches). They are large enough to handle runoff from infrequent, large storms. 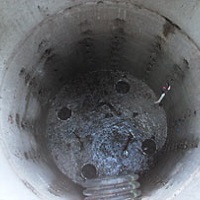 Typical system failures include reduced capacity because of clogged grates or pipes and or ditches blocked with weeds or debris. If the capacity of the conveyance system is reduced, isolated flooding and property damage can occur. Some facilities detain and slow the flow of stormwater to surface waters. Roads, roofs and other hard surfaces increase the rate of stormwater runoff into natural streams, potentially causing stream or channel erosion and flooding. 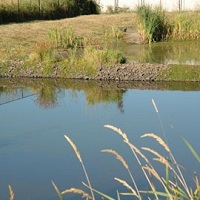 Detention facilities, such as ponds and underground vaults, store stormwater for controlled release and help prevent downstream flooding and erosion. Retention facilities, such as infiltration basins and drywells, store or retain runoff temporarily while it soaks into the ground. This system mimics natural processes caused by trees, vegetation and microbes that help break down and remove pollutants. Retention facilities typically do not release stormwater to waterways. Low Impact Development (LID) features include a variety of methods to allow water to stay on the site where it lands. LID was required to be used for new developments starting in mid-2015. 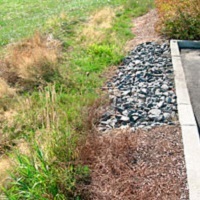 Stormwater treatment Best Management Practices (BMPs) refer to multiple approaches to treat and improve water quality. The most common include swales and wet or dry ponds. More complex systems include underground vaults with cartridge filters or oil/water separators. All these methods help remove oils, chemicals, metals and sediment from stormwater runoff before it is discharged to ground or surface water. Your homeowners association should have access to information about the locations and types of facilities serving your property. If the facility is privately maintained, the association also should have a maintenance plan. 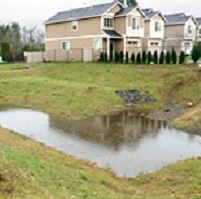 If your residential development does not have a homeowners association or association documents have no mention of stormwater management, look for information about locations and types of facilities on the recorded plat for your subdivision or in your property deed under "Covenants, Conditions, and Restrictions." (CC&Rs). Wet facilities - These facilities typically contain year-round water and often have significant aquatic vegetation. Water levels may rise during a storm, but should not breach the structure. Dry facilities - Dry most of the time, these facilities contain water during and after rain storms. Water should disappear within three days after the rain stops. 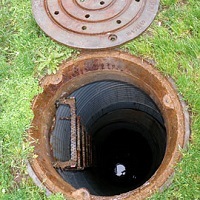 Underground structures and facilities - Underground catch basins/storm drains, manholes, vaults and drywells are invisible except for a manhole cover or inlet grate. Underground structures are used to trap sediment and debris, allowing stormwater to soak into the ground and filter pollutants. 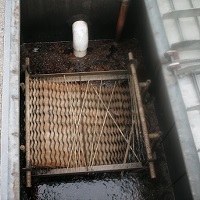 They are used as a junction between pipes to route stormwater. 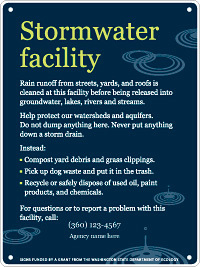 The pictures and descriptions on these pages should help you recognize stormwater facilities. Some have fences around them for safety, especially those with standing water. If the facilities have problems, however, identification can be difficult. For more information about facilities in your development, contact your local agency and ask a stormwater inspector to visit. 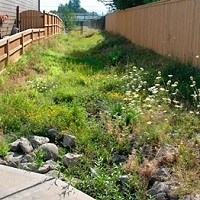 Commercial properties could have unique stormwater features in addition to those typically found in residential areas. These features, sometimes called Low Impact Development (LID), include pervious pavement, which allows rain on parking lots and walkways to soak into the ground rather than run off; oil/water separators, underground structures typically located in parking lots and at automotive businesses; and sand filters which can be located above or below ground. Because these features often are out of sight or blend into their surroundings, maintenance can easily be forgotten or overlooked. Regular inspection and cleaning are important to keep these structures functioning properly and avoid potentially costly repairs. Maintenance is a requirement of state stormwater rules and local stormwater ordinances. See a map of LID sites across Clark County here. The best way to limit big repairs and ensure that your facilities are working properly is to follow a regular inspection and develop a maintenance plan. 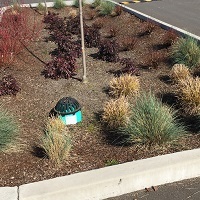 For small, simple facilities, such as biofiltration swales, much of the maintenance can be done by neighbors or landscaping firms. More complex facilities require professional maintenance and repair. 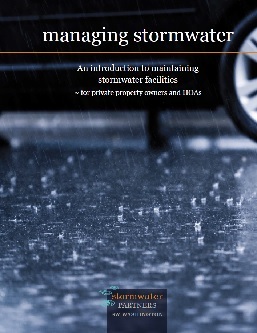 You should have a current maintenance plan for your neighborhood's stormwater facilities. A plan might be outlined in your HOA's records or your CC&Rs. If neither is available, a maintenance plan must be formulated. 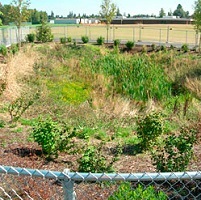 In western Washington, public agencies or private property owners are responsible for maintaining stormwater facilities. 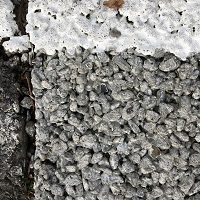 All facilities, whether public or private, must meet the same state and local maintenance requirements for proper control and treatment of stormwater runoff. Unless there is a sign that says who owns the facility, there is no quick or universal way to tell if the facility is public or private. Generally, roadside planters and ditches or storm drains and pipes within the right of way are public. Facilities within private properties are often, but not always, private. Homes built before the 1980s typically drain to public streets or roadside ditches maintained by local government. 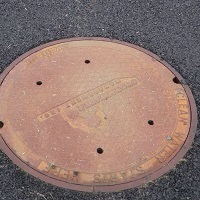 In newer residential developments, however, one or more stormwater facilities could be part of the infrastructure. Since at least the 1980s, local jurisdictions have required some form of stormwater treatment as a condition of development. 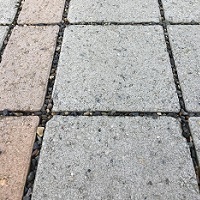 Rules became more rigorous in the 1990s and now stormwater treatments systems must be in place when improving or constructing roads, parking lots, buildings and homes. If properly constructed and maintained, residential stormwater facilities can be relatively inexpensive to keep in proper working condition. However, major repairs can require professional assistance and be much more costly. Nearly all facilities likely will need some type of major service at some point. Property owners should set aside money for routine maintenance as well as the occasions when outside expertise or equipment is needed to maintain, upgrade or repair a system. Costs of maintaining a facility will vary depending on the level of maintenance needed. Designated volunteers and/or professionals responsible for inspections. Some local agencies routinely inspect private facilities; ask for a copy of the inspection report. Contact your local agency for information. Below is a list of contractors known to perform maintenance work on stormwater facilities. Before hiring a contractor to maintain your stormwater facility ensure they are familiar with the work required to properly maintain the facility. This is not a complete list of contractors, nor is it an endorsement of any particular contractor. In some cases, homeowners don't realize there are stormwater facilities in their neighborhood. The sites often look like natural features or may not be readily visible. You might be surprised to learn there is a facility in the neighborhood, let alone that homeowners are responsible for maintaining it. Mark storm drains to help others understand that all drains eventually empty into surface or ground water. Check with your city or county for medallions, stencils and other supplies to assist neighborhoods, education groups or other volunteers. Show your neighbors pictures and examples of stormwater management best practices used in other communities. Talk about the benefits a well maintained stormwater system provides: more attractive neighborhoods, higher property value, reduced potential for flooding, and protected streams and habitats.